Naviator™ Warthog - STØLÅS Watch Co.
Click the button below to add the Naviator™ Warthog to your wish list. Pre-Order priceing will increase at regular monthlyintervals so dont delay and get your new Naviator™ ordered now and Call The Ball! $100 down payment is required for Pre-Order purchase. 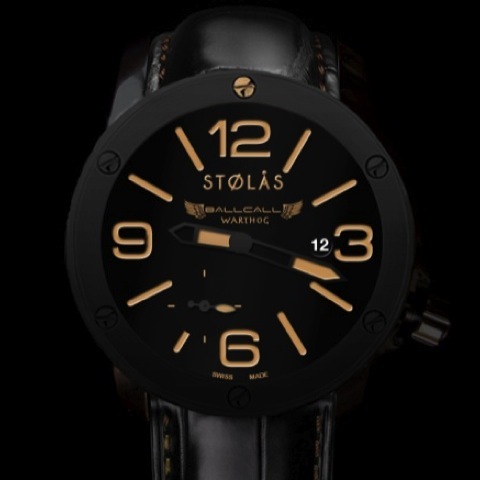 All STØLÅS watches carry a one year limited warranty. Please view the "Watch Manuals" page to view the full warranty. All I can say is A-10!!!!!!!!!!!!!!! Looking forward to having this on my wrist!